Loving // Being off daylight savings time - don't ask me why but I just can't find my rhythm with daylight savings. The time on the clock never makes sense! Drinking // Tea, tea, tea - mostly English Breakfast but the occasional herbal. Feeling // Inspired to garden again. Summer was so hot and dry, and with no water source either than our rainwater tank I couldn't keep up the water without feeling stressed, so I let the veggie patch go. Now the weather has mellowed out and we've had some rain I think I'll plant some seeds. Making // My rainbow shawl is coming along nicely, I've hit that point in the project where I get 'attached' to it and don't want to work on anything else. 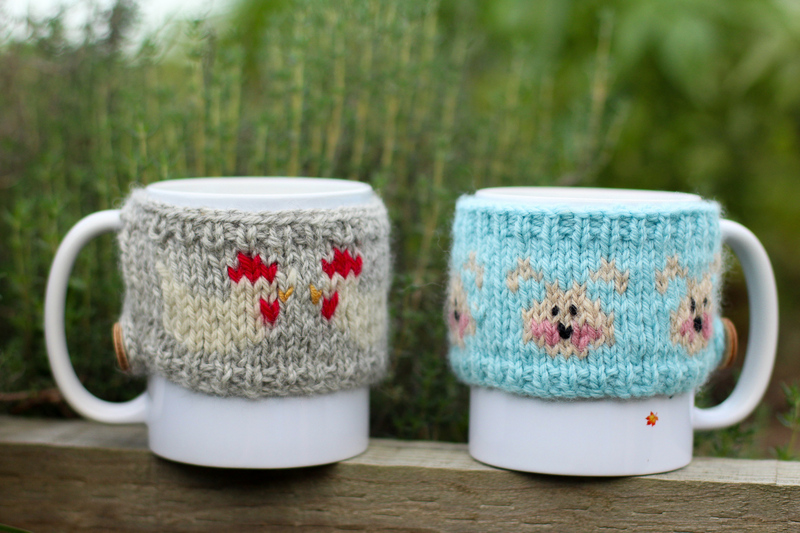 I am knitting on my Maple here and there, too, and I've finished with my Chook Chook mug cosies now, too. Thinking // About running a knitting workshop, I haven't organised any this year yet. 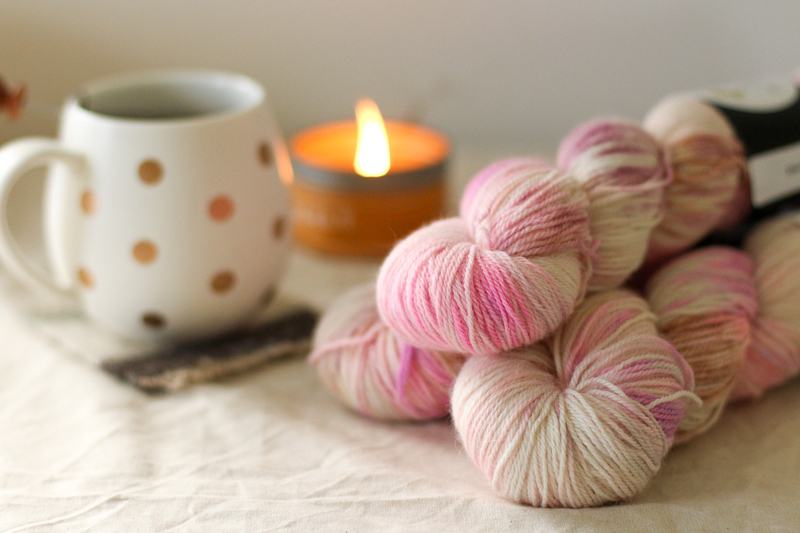 Dreaming // Of my trip to Knitfest Maleny in July, it's not too far away. I'm excited to be teaching this year as well as holding a stall. 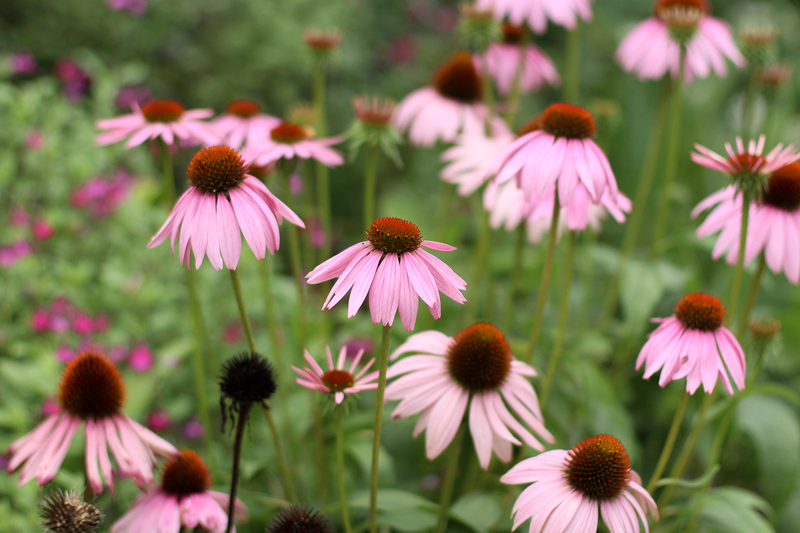 How gorgeous are those Echinacea! Thank you for hosting another lovely link-up. I have missed them too! 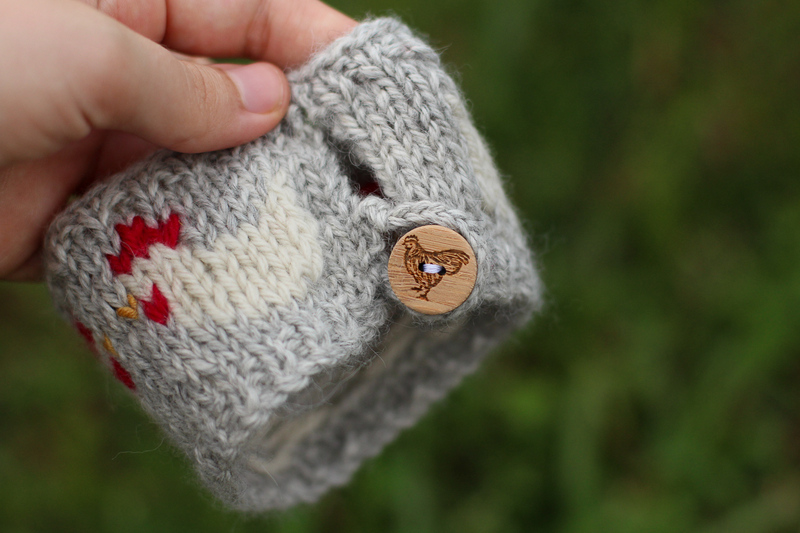 It is almost mug cozy weather now.